NetEnt - Netent provides the Best Casino Games and Jackpots! NetEnt needs very little introduction to savvy online casino players because their games are so popular and often sorted after. They are a symbol of quality and many online casino operators choose to attract new players by promoting them. The company was originally founded by two Swedish entrepreneurs Bill Lindwall and Pontus Lindwall. In 2016 they celebrated 20 years of success in business. Even if this game provider is now a publicity-listed company on the Swedish stock exchange market worth millions, its debut in 1996 was quite difficult like many start-ups. In the commemorative 20 years anniversary corporate video released last year, the Co-Founders admitted that ironical, before the turn of the millennium, the associates were looking to give the business away to for free but no one wanted it. In 2002, 7 years after the company was started, they finally become profitable. It’s newly found success could only be attributed to the launch of their very first online casino. Not only did this new venture give them instant profits but it also became a great virtual window to display their excellent games. The rest is history. NetEnt has offices around the world, Malta, Ukraine, Gibraltar, United-States of America, Poland, and Stockholm. They truly embrace cultural diversity and employ over 900 talented people. What are the best games created by NetEnt? Its really difficult to say because their game portfolio not only contains video slots but also live table games, bingo and scratch cards. They have created over 200 games for online casino operators and picking the best game title is not an easy task. There’s so many cutting edge games with creative game mechanics and also have beautiful graphics to chose from. But, many casino players and casino manager believe that the best game ever created by the game provider is without a doubt Guns N Roses. This game was launched in early 2016 as part one of the rock trilogy and became an instant success because of the 4 different bonus features and its soundtrack which allowed players to spin to the sounds of the band mega hit song. Guns N Roses also gave NetEnt another prestigious EGR award for best game of the year in 2016. Many would agree that Starburst and Gonzo’s Quest are by far the best games ever created by the game provider. Both slots are often featured in a prime position of casino lobbies because of their popularity. They are the favourite of many high rollers but also a go-to game for new players because many online casinos give free spins no deposit required on those 2 titles. Other popular games released by this studio include Twin Spin, Jack and the Beanstalk, Jack Hammer and Dead or Alive. What about their Jackpot games? 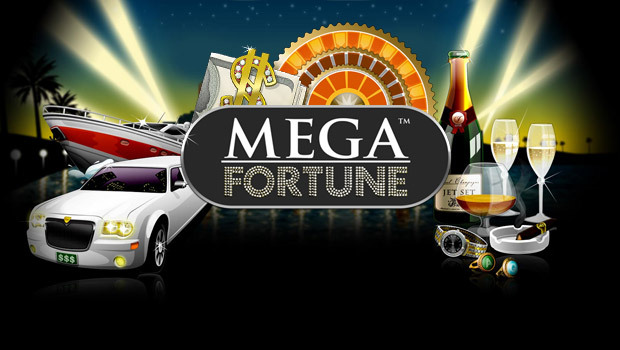 It’s fair to assume that NetEnt most recognise jackpot game is Mega Fortune. Since it was launched in 2009 it has changed the life of so many online casino players. Other jackpot games include Cosmic Fortune, Icy wonder, Mega Fortune Dreams, Hall of Gods and more recently Divine Fortune. All of these games (except for Hall of Gods) can be players on a desktop, mobile or tablet. Hall of Gods is only available on a desktop. What games will they release in 2017? 2017 promises again to be a great year for the game provider. They have announced the launch of several games that we think are going to be mega hits including Fairytale Legends: Hansel And Gretel, Copy Cats, Butterfly Staxx, Emoji and the very anticipated game based on the iconic movies and TV series Planet of the Apes. Generally you can expect 1 new game release around the 24th of every month, so make sure to check your emails and SMS because many online casino like to give free spins their new releases. NetEnt games are available in a wide selection of online casinos, but if you’re looking for a great bonus to play your favourite game we recommend you to play at InstaCasino, Rizk Casino, HelloCasino or CasinoAndFriends. We’ve negotiated exclusive deals for any players we refer to these casinos. Make sure to check out of bonus section to see if you are eligible to claim free spins no deposit required or a Welcome bonus with one of our preferred casino partner.